On October 11th, EHANG held its latest flight demonstration in partnership with Ooredoo, Qatar’s leading telecommunications provider. The EHANG184 amazingly operates on a 5G LTE Cellular Network. It depends on this network in order to communicate both with the ground, and with flight control systems and navigation. In Qatar, the cellular network it depends on is provided by Ooredo. The latest flight tests show the EHANG184 sporting the Ooredo Logo. 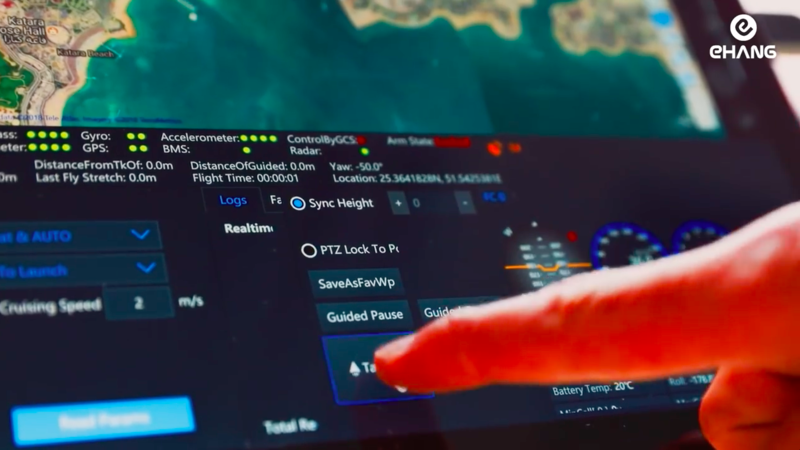 Flawless connectivity is crucial because EHANG ensures flight safety partially through low-altitude command center, which has ultimate control over whether or not the aircraft is allowed to take off. The EHANG 184 is a true passenger drone in all aspects. 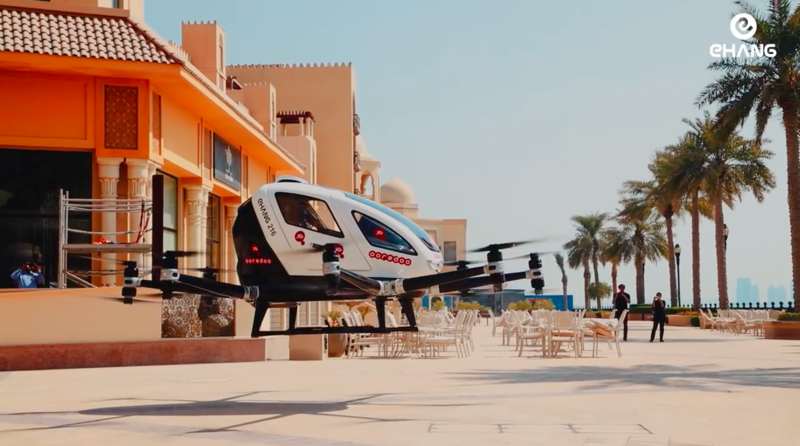 Its quadcopter design comes with no fixed wing, and in the past, has even been called EHANG’s ‘giant drone.’ The EHANG is pilotless – it boasts full autonomy, simply relying on the passenger to input a destination location via touch screen. EHANG is so confident in it’s software capabilities that EHANG184 doesn’t even have a joystick. The company has years of experience developing top-of-the-line consumer and commercial drones. The fully electric eVTOL developer guarantees safety by stating, “If one set of the power systems are operating abnormally, the vehicle can still operate a normal flight plan. If any components malfunction or disconnect, the aircraft will immediately land in the nearest possible area”. 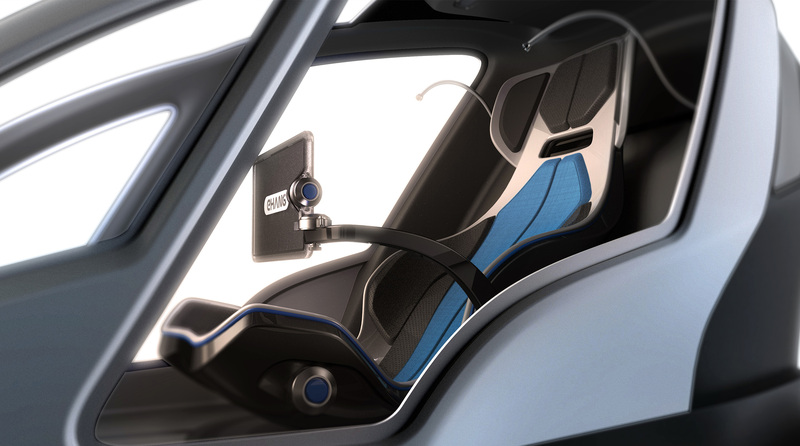 Why It’s Important: EHANG is getting close to full flight feasibility. It was one of the first companies to reveal its design in 2016, and has been slowly making progress towards commercial flight. It has already conducted over 1,000 passenger flight tests in places like Dubai, China and other countries. It even has successfully completed safety tests in conditions of high heat, darkness, fog, and gale-force winds. All of these factors have made EHANG one of the most prominent urban air mobility companies, and one of the closest to full operation, barring regulations.